I’m in a process of on building a photo archive online and I’m going through my entire library of images. And I’m finding a lot of photos that I edited a couple of years ago in a style that was appealing to me at that time. But taste change over the years. Back then I liked high contrast and saturated colors. Today I am a little more careful with the contrast and colors. 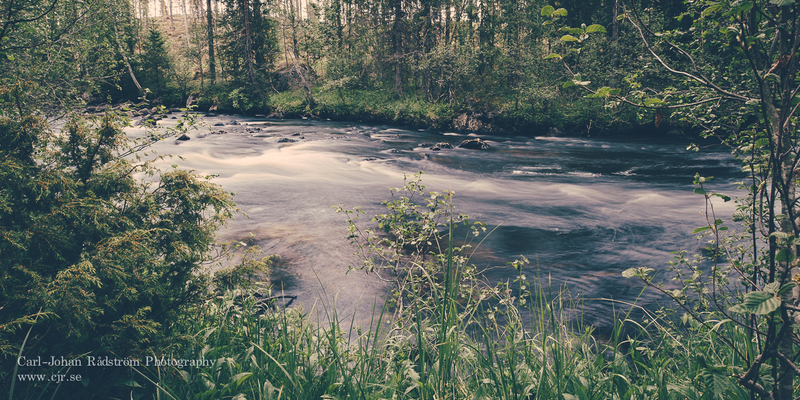 I made this photo in June 2009 and the stream are Kvällån in Åsele.